BAGHDAD (AP) — Iraq saw a record low turnout on Saturday in its first elections since the collapse of the Islamic State group, pointing to widespread dissatisfaction with the direction of the country under Prime Minister Haidar al-Abadi and presaging a long period of deal-making as politicians squabble over posts in a new government. 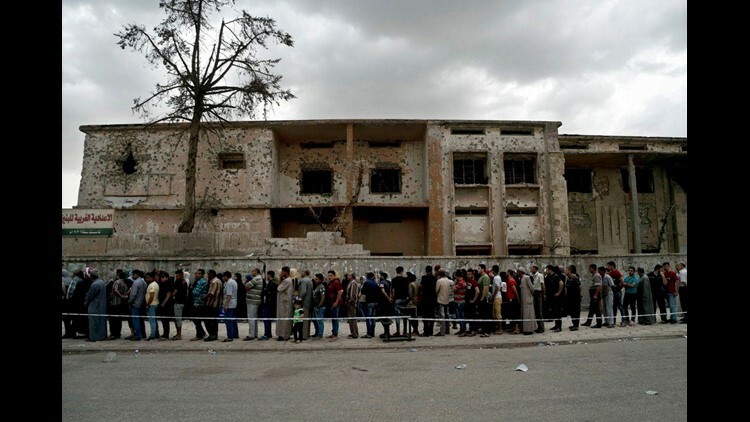 Riyadh al-Badran, a member on Iraq's national elections commission, said turnout was 44 percent. No election since 2003 saw turnout below 60 percent. More than ten million Iraqis voted. "There were some problems with the electronic equipment due to misuse by some employees," Hazem al-Ridini told the AP.In central Baghdad, voters supporting al-Abadi said they are doing so because they give him credit for Iraq's military victory over IS.